Happy humpday, y'all! (Aside: does anyone else think "humpday" is the most ridiculous thing ever?) It's my favourite day of the week, Wingdust Wednesday, and this time I'm actually participating! Wahoo! Oh! Steph also posted a wee giveaway on her Facebook page. 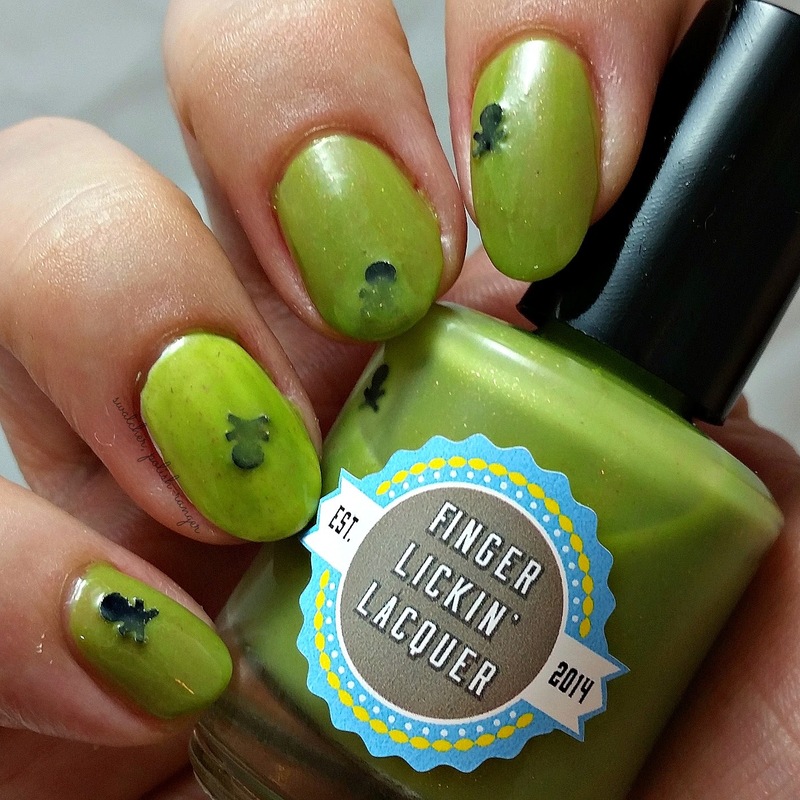 Post your #wingdustwednesday mani on Facebook or Instagram and you will be entered for a chance to win a 4-pack of Wingies. 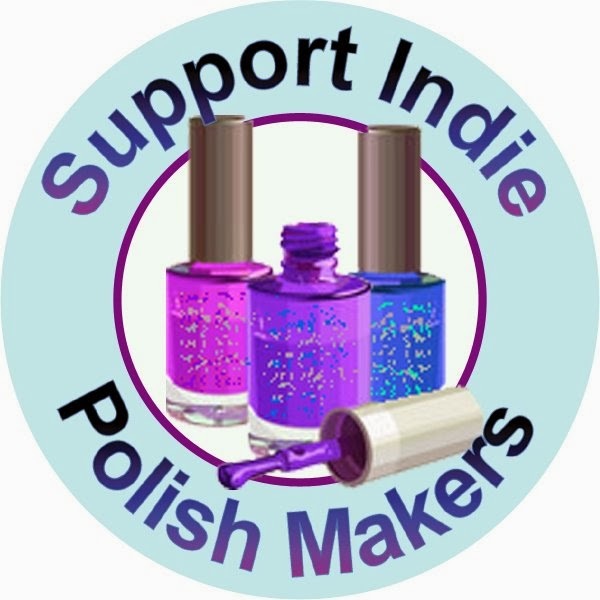 Giveaway ends Saturday, November 22nd so get painting! 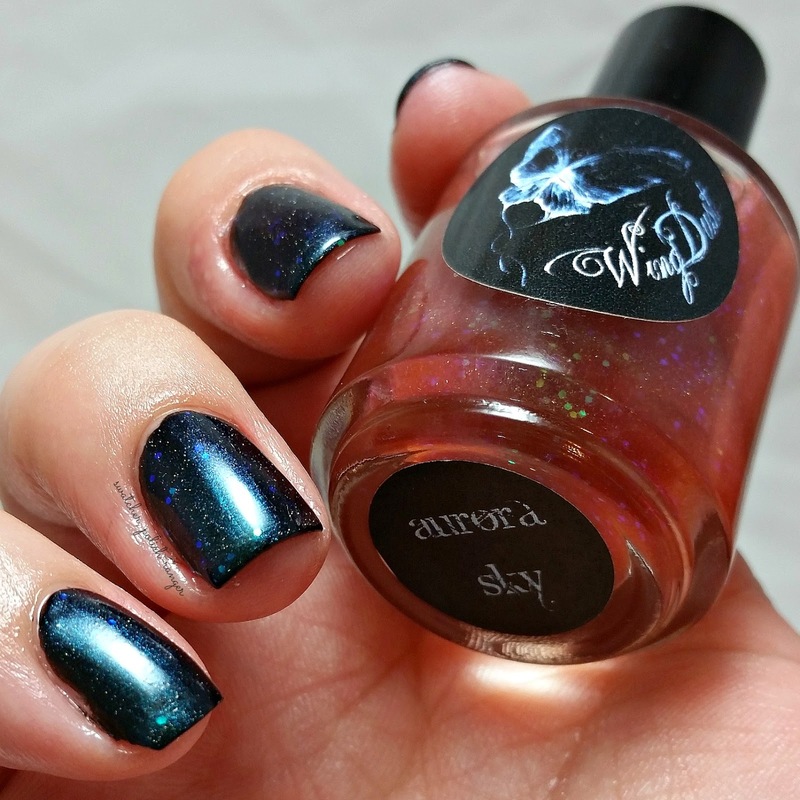 Today I am sharing Aurora Sky. 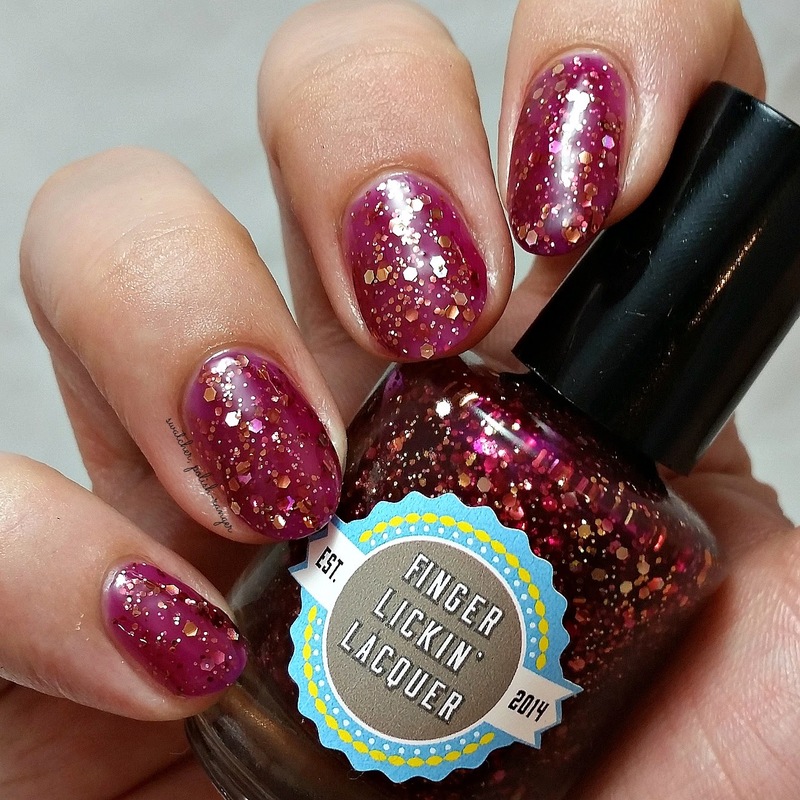 This is an older polish that is a part of the Season of Change trio, three colour shifting top coats, along with Autumn Fire and April Showers. 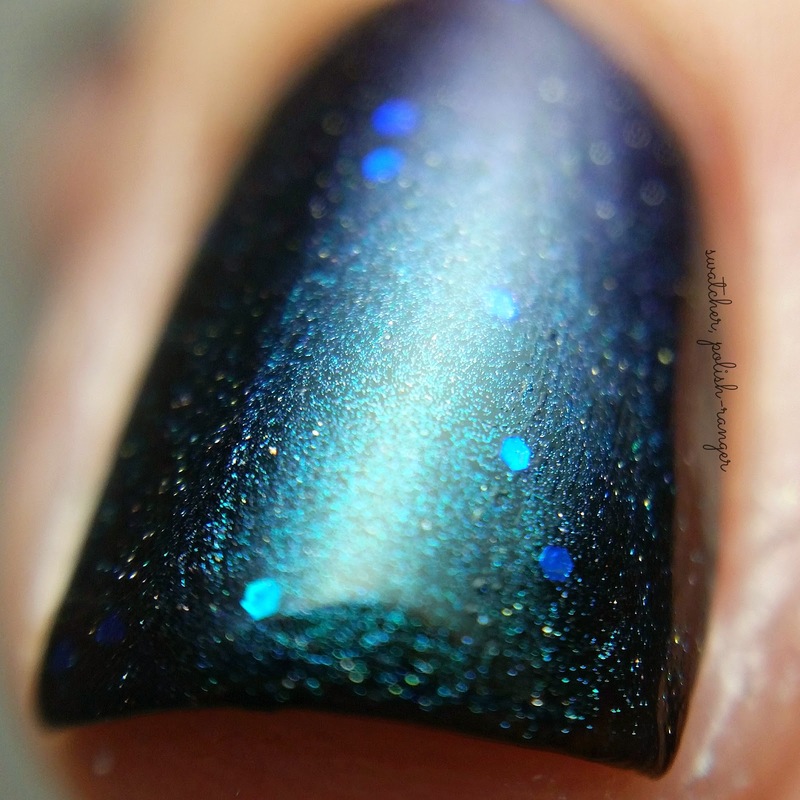 Aurora Sky presents mainly as teal but shifts to dark blue and purple in the right light. 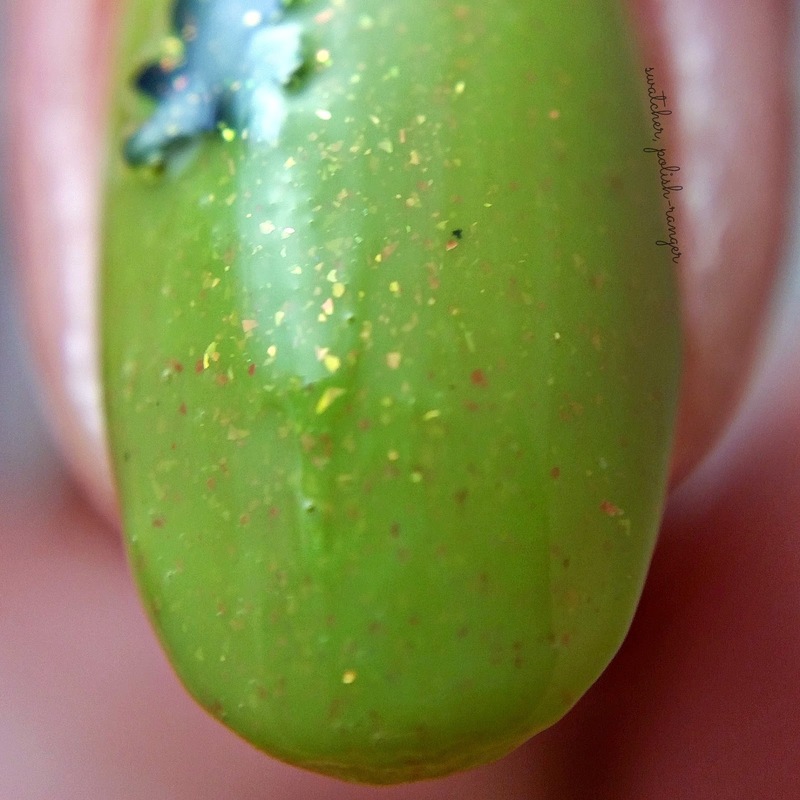 It also has small holo glitter which gives it more interest than the standard topper. The formula was good. It's on the thicker side but not goopy and was the perfect consistency for one good coat. Shown here is one coat of Aurora Sky over two coats of Orly Liquid Vinyl along with top coat. 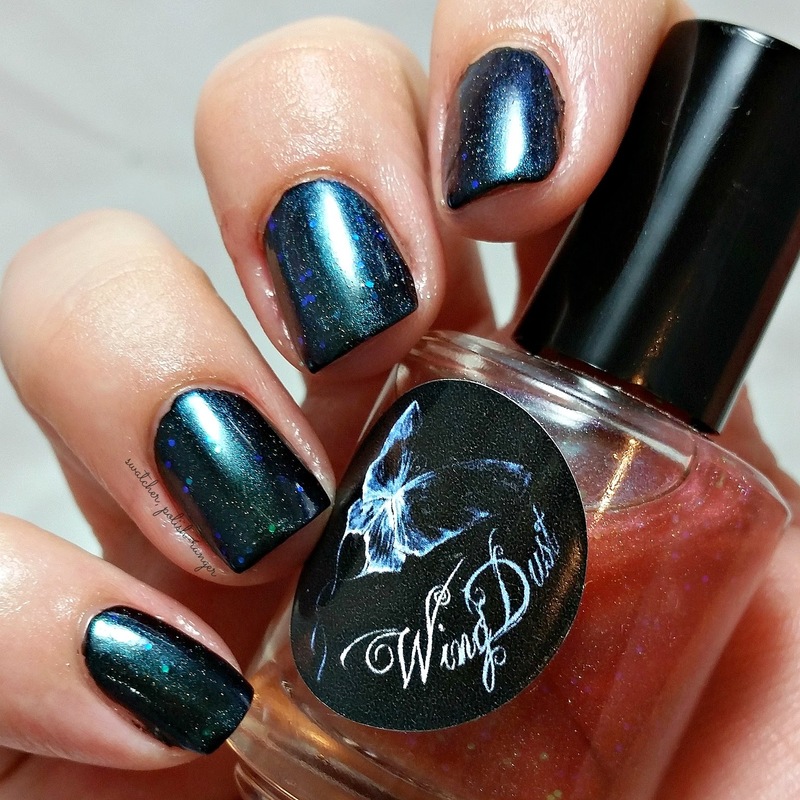 Also, Wingdust is currently holding a sale to clear out some stock. Use code BLUETUES for 30% off your order before shipping! Hooooo boy... Do you ever have a time in your life when things are just crazy and surreal and a wrench is thrown in to all of your plans? Yeah. That. Now. Yeesh. 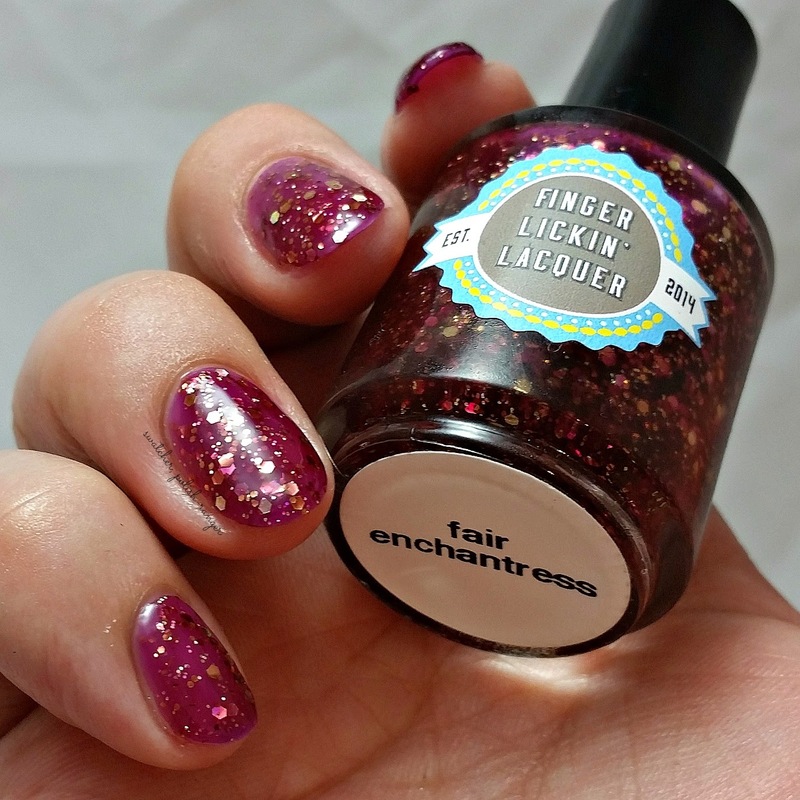 Now that I have two seconds to sit down and I write, I belatedly present part 2 of the Fall for FLL collection from Finger Lickin Lacquer. 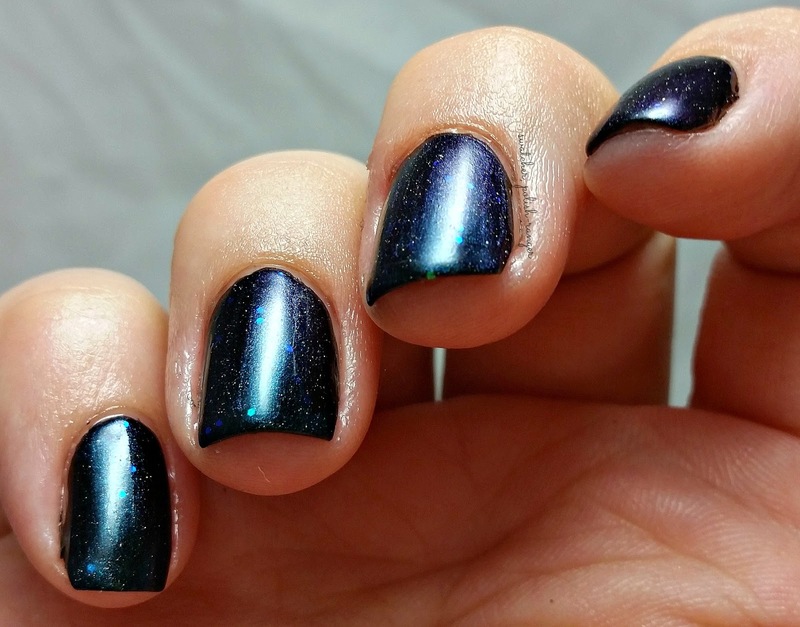 This leans black on me instead of navy blue but it's still lovely and is definitely reminiscent of the night sky. The scent is subtle and, like Tia mentioned, totally reminds me of Juicy Fruit gum. 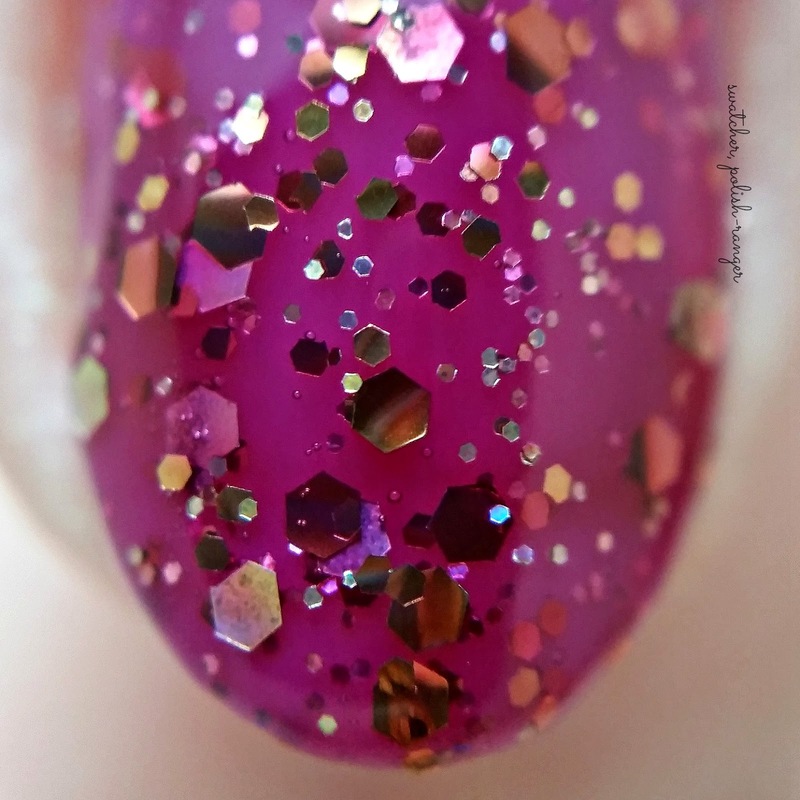 I found the formula to be great - sheer on the first coat but easily buildable. Shown here is three coats plus top coat. Ungh. This one is sooo pretty. 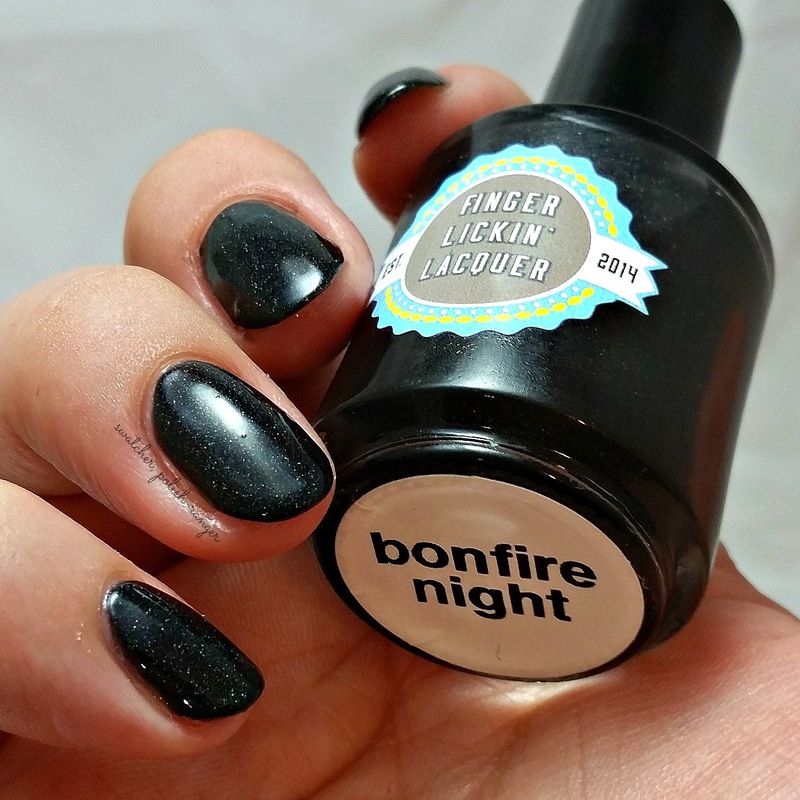 Forget fall, this is one of those year-round polishes - perfect for every season! Again, the formula was good, a little sheer at first but easily buildable. Shown here is two coats plus top coat. 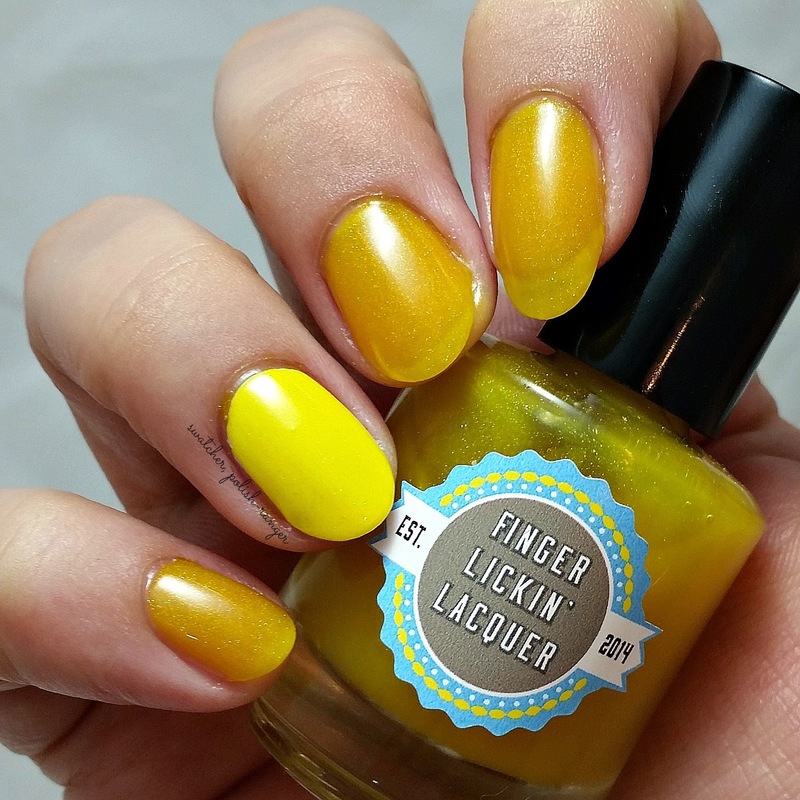 This yellow, while very sheer, is lovely. The deeper mustard tones make it perfect for a wide variety of skin tones and it's just subtle and perfect. Shown here is three coats plus top coat and you can still see the nail line. 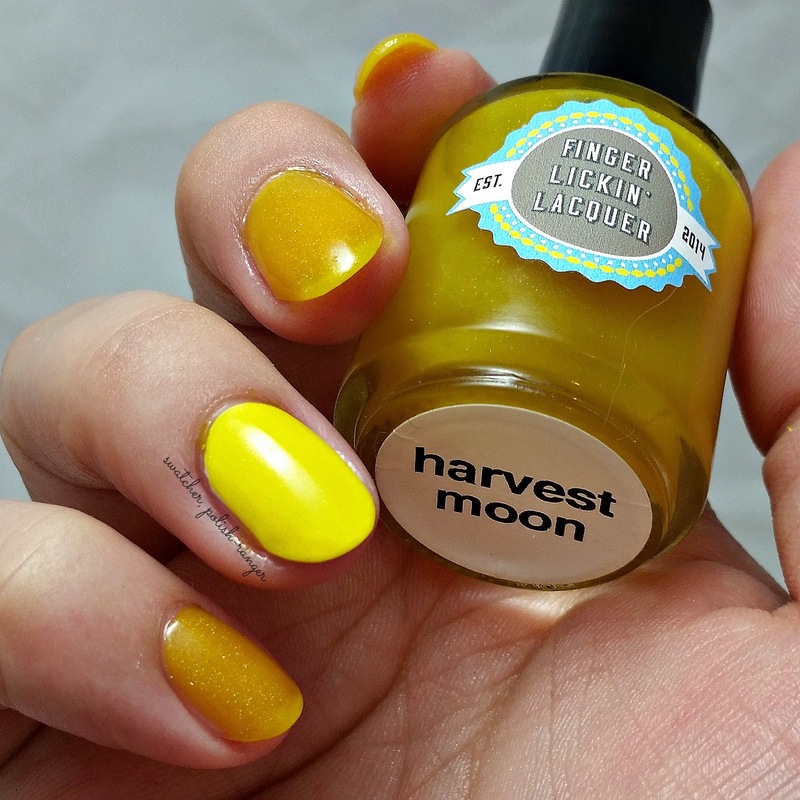 On my ring finger I layered two coats of Harvest Moon over white which really makes it pop. 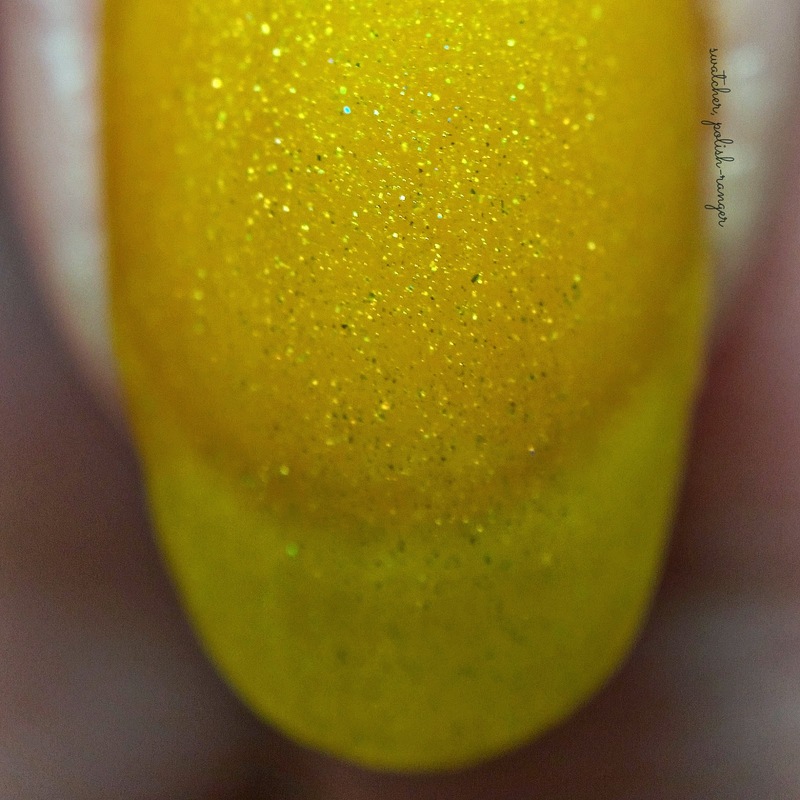 You could also find a similarly toned yellow and add this for a kick of holo. 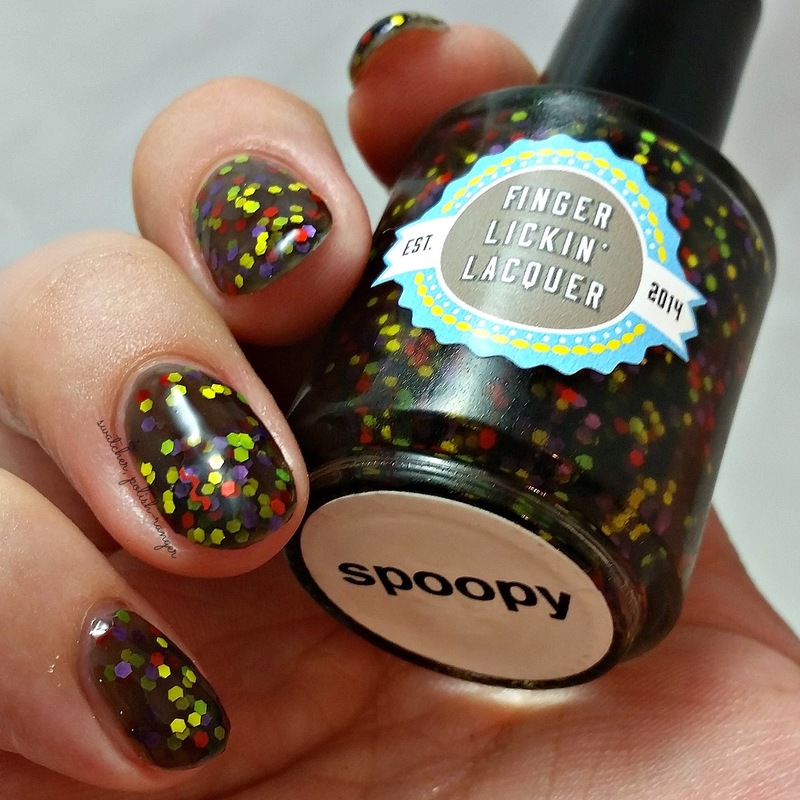 As far as I'm concerned, even though it's not orange or black, this is the PERFECT Halloween polish. It totally reminds me of a poison apple or toxic sludge or something bubbling in a witch's cauldron. I did have some issues with the skull glitter. It took major fishing and when I tried to place them I got too much base colour (that's likely operator error though). 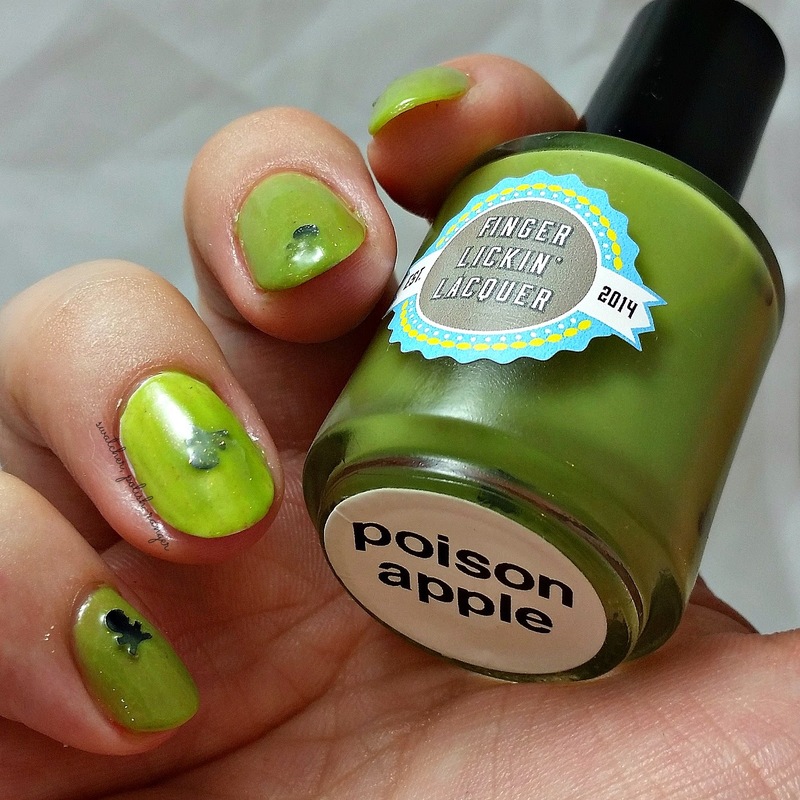 I layered two coats of Poison Apple over white on my ring finger and it..... doesn't really work - I prefer this one built up on its own. Shown here is three coats plus top coat. This guy is so much fun and I think it's amazing for Christmas as well. You know those bokeh photos of Christmas lights? This reminds me of that. The scent is light and not overwhelming and the formula, again, was good. Shown here is three coats plus top coat.